I cracked open a tin of anchovies packed in olive oil a few days ago and all week I’ve been slipping a fillet here and there in all my veggie side dishes. Anchovies impart an indescribable salty, umami base to any dish and they’re not fishy at all. Try them! If you hate it, you’ll only be out a couple of bucks. 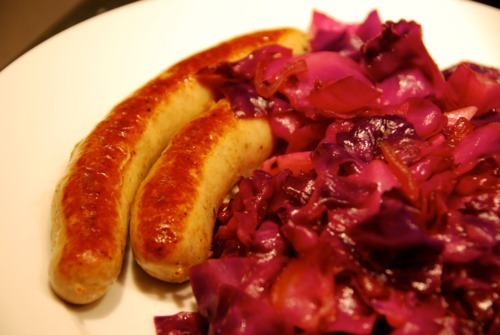 Since Fitbomb and I were going to eat some 4505 Meats chicken beer brats that had been languishing in our freezer since our World Series party, I thought it only fitting to sauté some cabbage to go with them. Melt ghee over medium heat in large skillet. 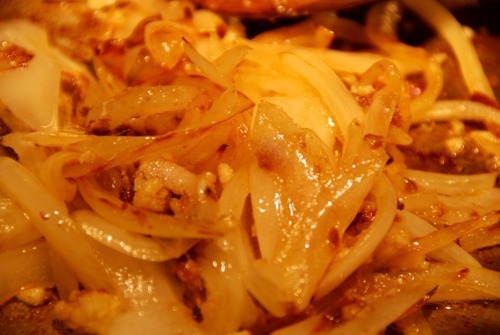 Throw in the sliced onions and sauté until translucent. Add the minced garlic and anchovy fillets and mix to break up the anchovies. 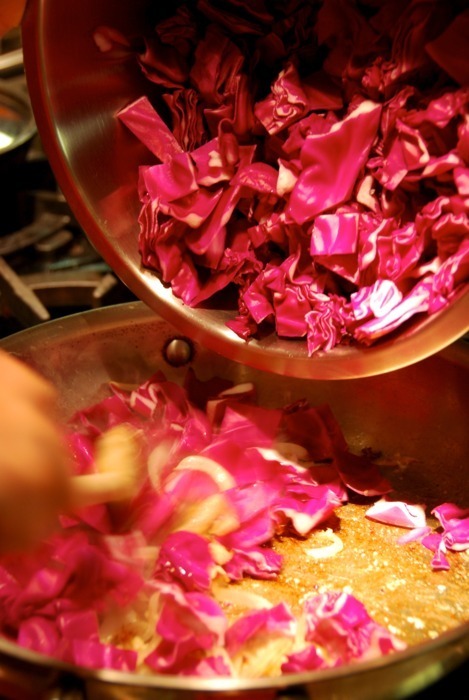 Then, add the cabbage and stir to distribute everything. Cover with a lid and lower heat to medium low and cook until softened to your liking. 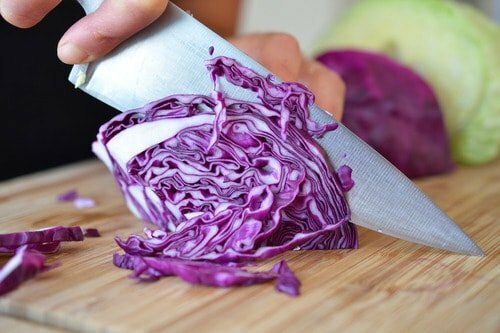 Once the cabbage is cooked to your specifications, add 1-2 tablespoons of apple cider vinegar and season with salt and pepper to taste.